Piston Count: Uses your existing stock calipers. Pad Type: Uses stock pads. 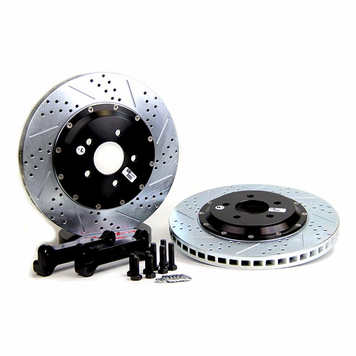 Includes: 14" 2pc slot, drill, zinc rotors, brackets and hardware. Notes: Designed to be used with 2005-2014 Mustang. Does not fit GT500 or Boss Mustangs. 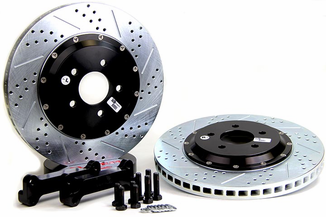 Will fit all Mustangs with factory 2 piston front calipers.